Mercedes-Benz recently decided to change its strategy and move from V6 engines to straight six mills. The Stuttgart-based manufacturer used to rely solely on straight six engines back in the day but for various reasons decided to switch to V6s a while back. Now they are joining BMW in offering silky smooth straight six mills and the new Mercedes-Benz S-Class is one of the models that recently received such jewels under the hood. The facelifted Mercedes-Benz S400d comes with a 2.9-liter straight six diesel engine good for some rather impressive figures. The biturbo mill develops 340 HP and 700 Nm (516 lb-ft) of torque and allows the luxobarge to reach 100 km/h (62 mph) from standstill in 5.2 seconds, also thanks to its new transmission and 4Matic all-wheel drive. From then on out the electronically limited top speed of 250 km/h (155 mph) can be reached in a matter of seconds as well. On the other side of this video we have the already popular BMW 740d xDrive model. BMW’s 3-liter straight six twin-turbo B57 engine makes less power than its rival from Stuttgart. To be more precise, the 740d has 320 HP and 680 Nm (501 lb-ft) of torque at its disposal. Due to xDrive all-wheel drive, it will do 100 km/h (62 mph) from standstill in the same claimed 5.2 seconds and it will reach a similar, limited top speed of 250 km/h (155 mph). The guys from AutoTopNL have put together a short video showcasing how the two compare in terms of acceleration, when pushed to the max on the highway. 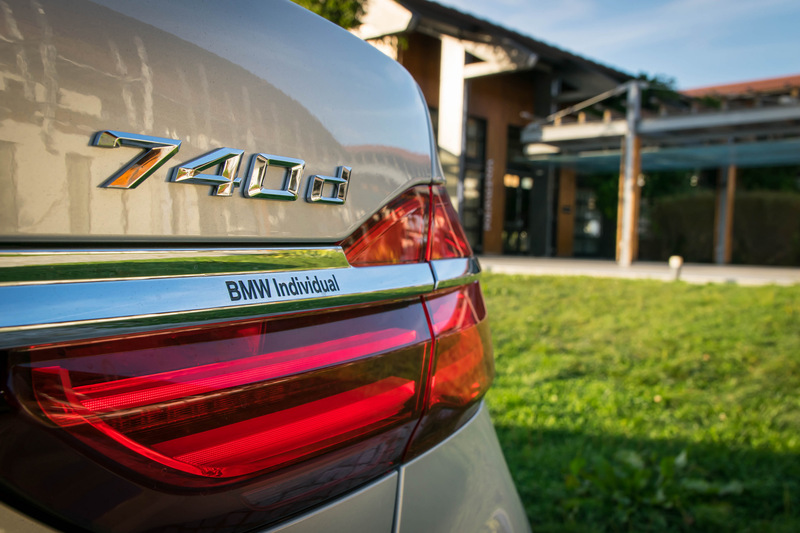 As you’re about to see, the BMW seems to be ahead in the run up to 100 km/h (62 mph) while the superior figures of the Merc allow it to push ahead after reaching triple digit speeds. Things are definitely very evenly matched and we can’t wait to see what the updated 7 Series will bring to the table once it comes out.